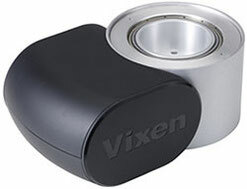 Vixen Advanced Polaris Modules are designed to allow users to customize AP mount system according to their needs. By adding extra AP modules, users can upgrade their AP mount system. 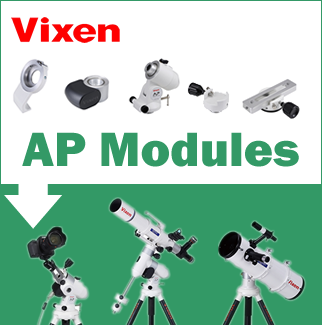 APZ Mount, AP-SM Mount, AP Photo Guider and AP Portable Mount are just example. 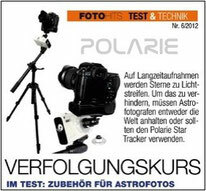 * Polar alignment scope PF-L is not included. 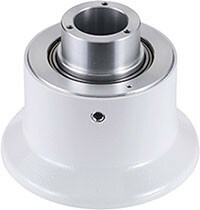 This is a set of AP polar axis body unit and AP counterweight bar with vanity ring. Batteries are not included. This is a set of R.A. motor module and STAR BOOK ONE controller. 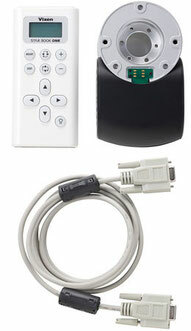 R.A. motor module and STAR BOOK ONE controller are not sold separately. 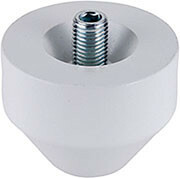 A core part which functions as DEC body of the AP mount as well as elevation axis of the APZ Alt-Az mount. 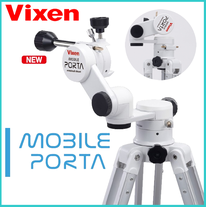 Manual Slow Motion Control Module, DEC Motor Module, AP Counterweight Bar and AZ Counterweight can be installed. The built-in battery compartment makes it possible to function as a power supply when the DEC Motor Module is connected. This consists of the Dovetail Slide Bar PG, AP Clamp Mount Head H, Mount Head Base and AP Polar Axis Bracket. 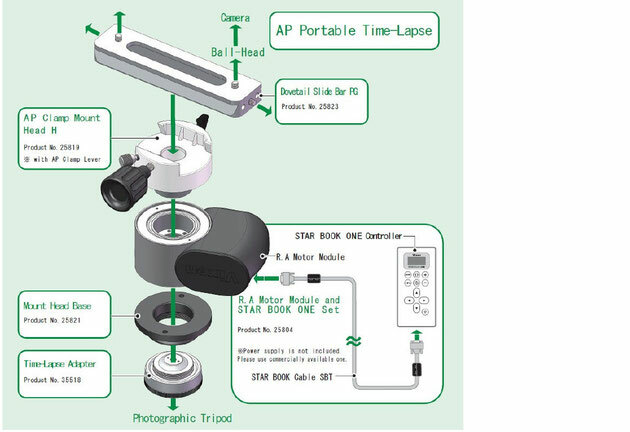 This can be used as the AP Portable System if it is used in combination with the R.A. Motor Module and STAR BOOK ONE Set. 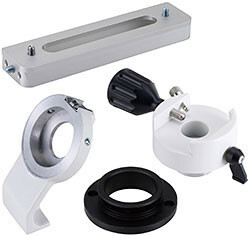 This is a set of the AP Mount head unit, mount head base, and dovetail slide bar PG. 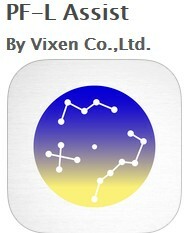 *Possible to use as an AP Photo Guider in combination with AP-SM Mount. This is a unit to attach Vixen dovetail slide bar (44mm wide). 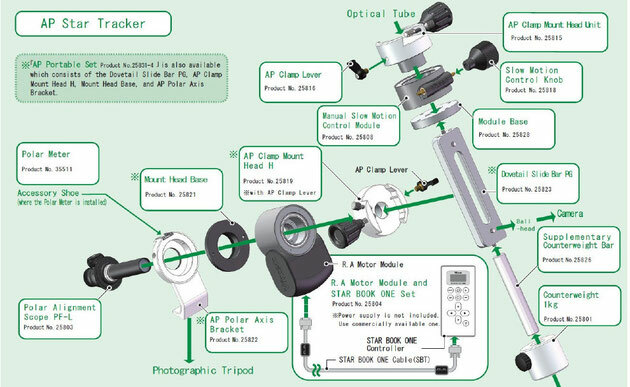 *AP Clamp lever is not included in this unit. A mount head to fix the「Dovetail Slide Bar」or「Dovetail Tube Plate」. The unique friction-control system allows moving straightly the optical tube by hands. 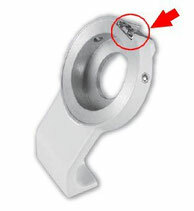 The supplied「AP Clamp Lever」permits fixture securely on demand. 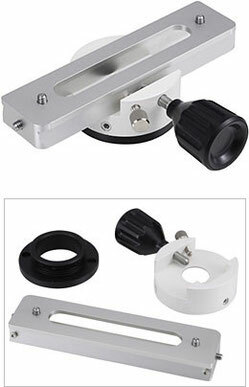 It is compatible with the「AP Clamp Mount Head Unit」, but can not be used with the「AP Photo Guider」. 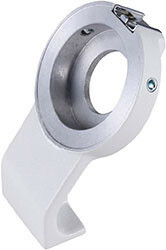 The unit with a hole in center for use with the polar alignment scope is called「AP Clamp Mount Head H」. This is used for RA or DEC clamp lever of the AP mount. 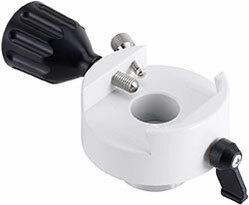 This is used together with AP clamp mount head unit or AP mounting base post. 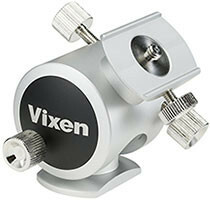 An adapter which connects the Manual Slow Motion Control Module」(or DEC Motor Module) with the AP Mount Head Unit or the AP Polar Axis Bracket and the Time-Lapse Adapter. 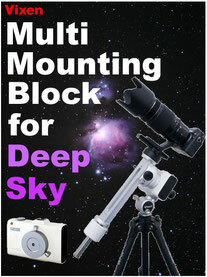 An unit which is used to mount the AP as a portable equatorial mount on photographic tripod. Ideal to make an entire system as compact as possible. 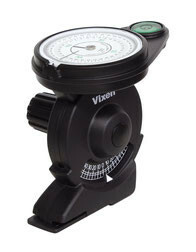 The Polar Meter and the Polar Alignment Scope PF-L can be installed on the body. Adapter to attach the Manual Slow Motion Control Module with the Dovetail Slide Bar PG. 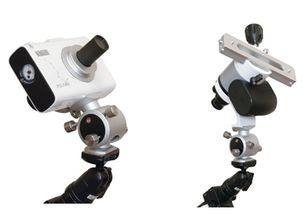 Used to connect with the APP-TL130 Tripod」in an alt-azimuth variation. 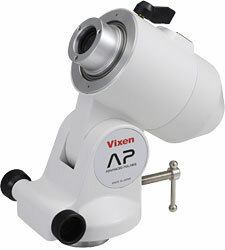 It is integrated in the APZ Alt-Az Mount. 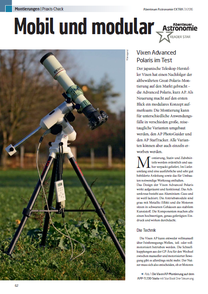 A new type of polar alignment scope which can set up equatorial mount with very high precision using simple method. 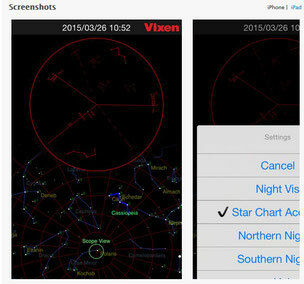 The polar axis can be aligned within 3 arc minutes by locating the Polaris and two neighbor stars in the northern hemisphere. 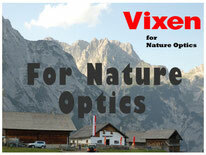 It allows simple alignment in a dark place while looking into the scope. 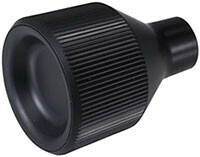 Built-in dark-field illuminator with red LED illuminates scales in 8 steps. The illumination goes off in one or two minutes after switched on. Accuracy: within approx. 3 Arc min. 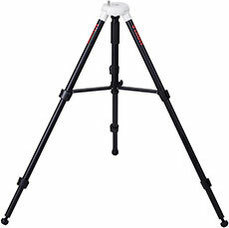 APP-TL130 Tripod was developed for the purpose of achieving upside of both Astronomical Tripod and Camera Tripod. This is newly engineered astro tripod. Extended height is 130cm, but when it is folded, APP-TL130 become very compact size of 598.4mm(approx 60cm). 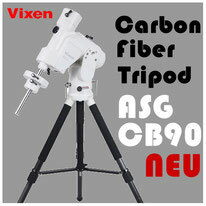 Ferrule of this tripod is adjustable so you can use this tripod under variable condition of your star observation. The knob is used with the manual slow motion control module for R.A and DEC slow motion control. Supplied with the AP mount. Compatible with AP, GP2, and GPD2 mount. designed to balance the mount for stable movement. It is supplied with the「APZ Alt-Az Mount」. 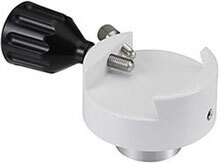 Counterweight bar which is supplied with the「AP Mount」and the 「AP-SM Mount」. 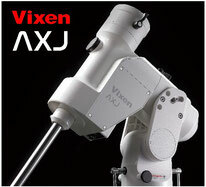 It is used to balance with optical tube upon being attached with ｢Counterweight ｣ and installed on the declination body. It can be used with the「APZ Alt-Az Mount」. ｢Dovetail Slide Bar PG｣ while being attached with the ｢Supplementary Counterweight Bar｣ to balance between the camera and the AP Photo Guider for more stable tracking. 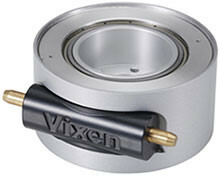 The pan-mount head which is exclusively designed to precisely fit to the bottom of star trackers can be secured or removed with a single screw. The twin screw system for both tilt-angle and azimuth adjustment assures fine motion and rigid lock. The widely adjustable tilt-angle from 0ﾟ～85ﾟ permits a use in variously different location and situations. Dieses Zubehör beeinhaltet einen Kompass mit einer Wasserwaage und einer Höhen Skala. Der Kompass hilft Ihnen,den Polarstern schnell aufzufinden auch wenn dieser durch Bäume oder einen Berg verdeckt ist. 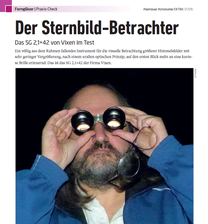 Der Kompass wird an dem Zubehörschuh auf dem Polarie Star Tracker oder einem Gerät mit einem Kamera-Zubehörschuh aufgesteckt. ■ Portable storage case for AP, AP-SM, APZ mount, as well as individual modules. ■ Mount can be simply stored as being set up. ■ The interior with raising material allows attachment of supplied fixing accessories inside the case. ■ The divider in the center protects the mount and other parts in between. ■ The divider provided with mesh pocket accepts storage of small parts like manual. 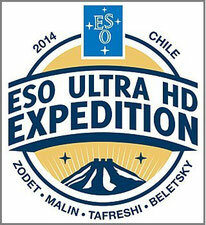 ■ The provided D-rings permits a use of own shoulder strap. ■ The exterior is provided with reflector tape to help in visibility in darkness.